Join the Hispanic Chamber and Texas PACE Authority for an interactive workshop! The Texas Property Assessed Clean Energy (TX-PACE) program enables owners of eligible commercial, industrial, non-profit, agricultural, and multi-family buildings to retrofit their facilities with more efficient technologies that will reduce energy and/or water usage. This program enables up to 100% low-cost, long term financing for energy efficiency, water conservation and distributed generation improvements. This workshop is a unique opportunity to learn about the PACE financing mechanism and how it can benefit your business or property. 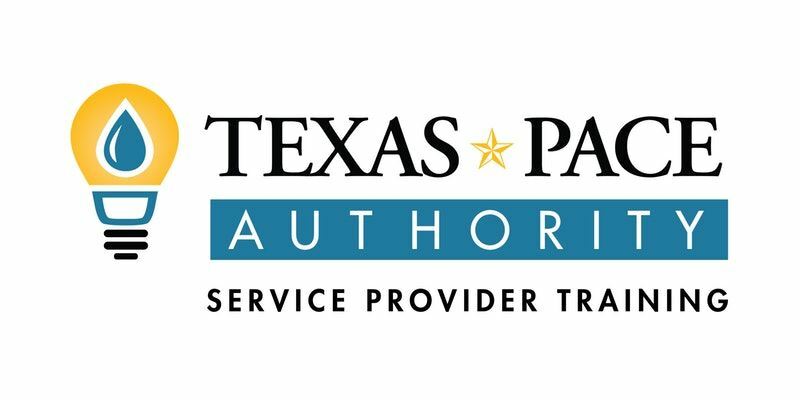 - A panel of subject matter experts will discuss the details of the TX-PACE program including requirements and application process. - Building and business owners, energy/water efficiency and clean energy contractors and engineers will learn how to use the program to finance energy efficiency, water conservation, resiliency, and distributed generation improvements. This workshop will also include a presentation and question-and-answer session with a panel of capital providers, an update on the current “PACE in a Box” market,and discuss in-depth current case studies. Lunch and workshop materials will be provided. Please visit the website www.TexasPACEAuthority.org for additional program information.